Applications are invited by UNOPS from qualified and deserving applicants for the position of Administrative Assistant. Applicants must have excellent verbal and written communication skills along with excellent Planning, Organising and Teamwork Skills. 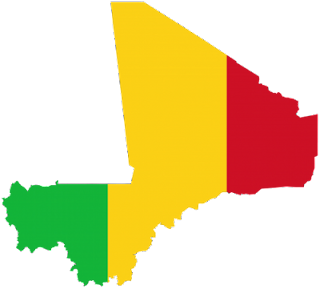 Please note that this position is Local ICA Support contract for the duration of 1 year (extendable), based in Bamako, Mali. Bachelor degree in related field would be an asset but not a requirement. Minimum of 4 years of working experience is required with at least 2 years of experience in the area of Administration and/or office management. Planning and Organising – Ability to manage, organize, plan and implement work assignments. Teamwork Skills – Ability to build and sustain effective work relationship with subordinates and peers to achieve common goal. Initiative – self confident and ability to act proactively to make thins happen in the organisation. Communication skill – Excellent communication skills and ability to work in a team to achieve organizational goals. Client Focus – Ensure timely response and support to the client(s) as needed. Ability to Learn – Willingness to learn and openness to suggestions for self-improvement. Lives and Breathes UNOPS Values – Takes ownership for all responsibilities and honors commitments. Contract duration: 12 months with possibility of renewal subject to availability of funds and satisfactory performance. UNOPS is seeking applications from talented and experienced applicants for the position of Logistics Assistant. Applicants must have excellent fluency in verbal and written English and French languages along with Planning, Organising and Teamwork Skills. Please note thjat this position is Local ICA Support contract for the duration of 1 year. The location of this position is Bamako, Mali. Minimum of 4 years of working experience is required with at least 2 years in Logistics and Customs Clearance. Understanding of logistics and Inco terms 2010. Experience in the usage of computers and office software packages (MS Office 2010 and or newer versions) especially knowledge of spreadsheets. Fluency in written and spoken French and English is required. The Educational Research Network for West and Central Africa (ERNWACA) was established in 1989 in Freetown, Sierra Leone. Currently, ERNWACA is managing a wide range of programs and projects in its seventeen (17) member countries in West and Central Africa. help mobilize the resources necessary to run ERNWACA and meet the network objectives. keep the ERNWACA Management Guide (in French and in English) up to date and ensure its availability on the network Intranet (for members only). have an international and intercultural experience including that in several West/Central African. At least three professional letters of reference regarding the integrity and competencies of the applicant.